Jeff Ruffini is the COO of BlueRock Technologies. 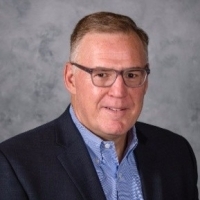 An experienced executive with a long history in the IT and services industry, Jeff specializes in service delivery, operations management, continuous improvement, customer relationship management, and customer satisfaction. He also has extensive experience in global management, solutions design and development, business growth, and sales.